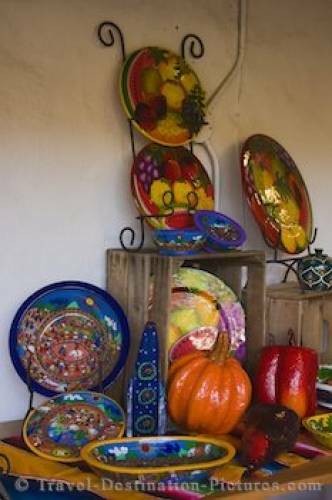 During a walk through the old town of San Diego in California, you are bound to find the market place where beautifully crafted Mexican Art is on display and for sale. The mexican market in the old town area of San Diego offers lots of colorful shops and restaurants. in the old town of San Diego, California, USA.